Sunburst Management Corporation is a full service management firm, but also offers specific services tailored to fit your needs, which may be a lower cost solution to hiring full-time management. For instance, if all you require is financial services, you need not contract, or pay for, on-site management. Simply go to the requests section on this site, send your question or request and we will contact you. 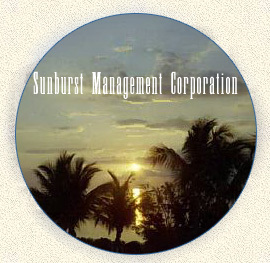 Sunburst Management Corporation is an established member of your community. Our firm has been under the same ownership since its inception in 1982. During that time, we've built a reputation for dependability and consistantly superior, personalized client service throughout Collier County. We are also available for consultation.